With lock snapping on the rise and consumer awareness of this attack method growing Stephen Roberts, Head of Marketing for Yale, looks at how the market is evolving and explains what locksmiths can do to ensure customers are fully informed when it comes to the latest security solutions. Criminals’ methods of breaking entering homes in the UK are continually evolving and they are constantly looking for new techniques to breach the security measures put in place. Unlike methods such as picking, lock snapping does not require experience, precision or skill and relies on sheer brute force. Using tools such as hammers or screwdrivers to snap the locks, it can take criminals just seconds to gain access. The industry has been aware of lock snapping for many years and has been working to develop products to counteract such attack methods. Commitment to research and development by security product manufacturers is vital, and we have a duty to invest in innovation and bring new and more advanced products to the market to keep the UK’s homes protected against the risk of crime. Since 2009, police have reported a rise in the lock snapping technique, which is thought to account for up to a quarter of all burglaries in some parts of the UK. Consumer awareness of lock snapping and the risk it poses to home security is growing. This is mainly due to increased media coverage, including features on national and regional television consumer affairs programmes. The industry has responded to this growing threat by introducing new products and requirements, including the TS007 standard. Developed in conjunction with the Door and Hardware Federation, TS007 offers comparable levels of cylinder security to those already found in complete door assemblies rated to PAS 24 and complete lock assemblies rated to BS and PAS 3621/10621 and DHF TS 621. 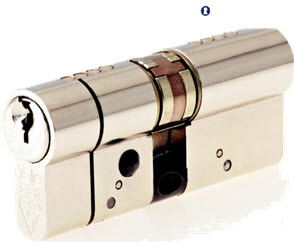 Under the TS007 three star system the cylinder, or a combination of the cylinder and security furniture, must have an accumulative three stars to meet the minimum security requirements. 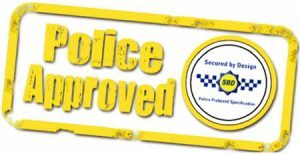 Yale’s Kitemarked AS Platinum is TS007:2012 3 Star accredited, tested to the British Standard BS EN1303:2005 and approved by Secured by Design, the official UK Police initiative that supports the principles of ‘designing out crime’. With four separate lines of defence, including Anti-Bump, Anti-Pick, Anti-Screw and Anti-Drill, the AS Platinum enables locksmiths to offer customers an innovative solution with an unrivalled level of security that will deter even the most determined intruder. To offer further protection, the AS Platinum also has four additional lines of defence. A snap-off front section sacrificially comes away if attacked, meaning there is less of the cylinder to grip, while hardened grip-deflectors make it difficult to get a firm hold. The cylinder’s hardened reinforced bar is designed not to snap, but to flex in a way that will defeat the vast majority of intruders, and an interlocking cam with strengthening bar provides additional protection on the top section of the cylinder. Suitable as a replacement product on PVC-U, wood and composite doors, the AS Platinum offers a convenient and cost effective solution. With no need for additional security furniture it enables locksmiths to achieve maximum protection using just one product. Just one set of measurements is required, leading to faster fitting times. Recommended for use on doors that require maximum protection against physical and manipulation attacks, the AS Platinum is available in Euro Single, Euro Double and Euro turn options with a choice of polished brass or bright nickel finishes, and is supplied with three keys as standard. In order to successfully receive TS007 accreditation, products must undergo extreme testing. The AS Platinum was subject to rigorous internal testing by Yale and was also tested by an independent professional body. As part of this testing, the cylinders are subjected to a two and a half minute attack by a test engineer using a standard tool. The engineer is allowed to try virtually any technique he chooses to try and break the lock, using the products provided in the tool kit. The techniques used range from brute force attacks to more subtle forms of manipulation, so the cylinders need to be carefully designed to withstand both methods of attack. 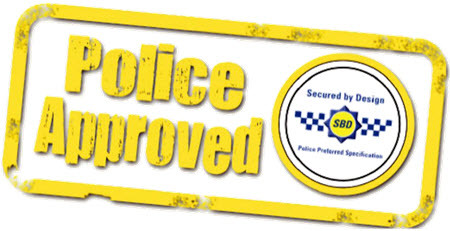 While it is simply not possible to eradicate crime, there are steps that consumers can take to improve security and protect their homes and possessions, such as having their existing cylinder replaced with one that meets the TS007 3 Star standard. For the locksmith industry, this represents a chance to maximise business opportunities. Despite the fact that media coverage is helping to raise awareness of lock snapping, there is still a great deal of work to be done when it comes to educating consumers on this issue. Locksmiths are in a prime position to help with this education process, particularly when carrying out work in domestic situations. protection against criminal attack methods such as lock snapping. In terms of what the future holds for Euro Profile cylinders, attack methods are constantly evolving. As new and improved security products are launched to the market, criminals are continually adapting the techniques they use in order to find new ways of breaking into properties. As a result, security manufacturers such as Yale are constantly developing new ways of withstanding attacks. Our test engineers are highly skilled and are committed to keeping abreast of the latest burglary techniques, helping to stay one step ahead of the criminals by ensuring our cylinders can resist any reasonable attempted burglaries.